These look awesome. Do you have a link to the reciepe or could you give amounts for the garlic and dill. My DIL is allergic to sugar so making these without sugar would be perfect for her. What king of vinegar did you use? I love reading your blog. Im a Pastors wife so relate to your past. We have 5 kids and have done foster care so a lot in common. God bless. Thank you. We do have a lot in common! I put 1 piece of garlic in each little jar. I probably would put more than one in if the jar was bigger. I used 1/2 pints yesterday. I put 1 teaspoon of dill seed in each little jar, the recipe calls for 2 teaspoons per pint. I used white vinegar. My regular pickle recipe uses apple cider vinegar, though, so I’m sure that would work, too. It was very funny when I looked it up and the post of the day was about zucchini and the first thing she says is that she doesn’t think it’s worth bothering to preserve zucchini:). 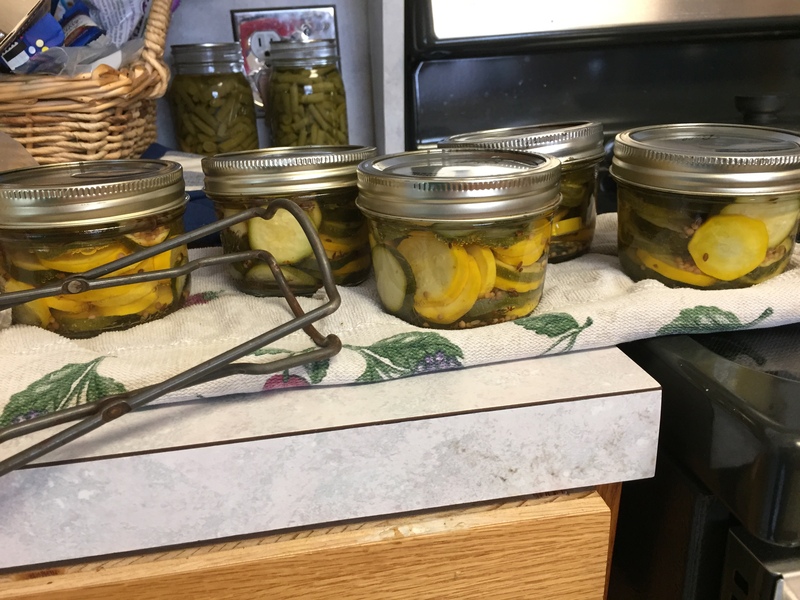 Still, I’m glad I found a way to preserve mine, and there was clearly a time when she felt the same, as she wrote a book with a zucchini pickle recipe in it! The author states that any dill pickle recipe will work for zucchini. 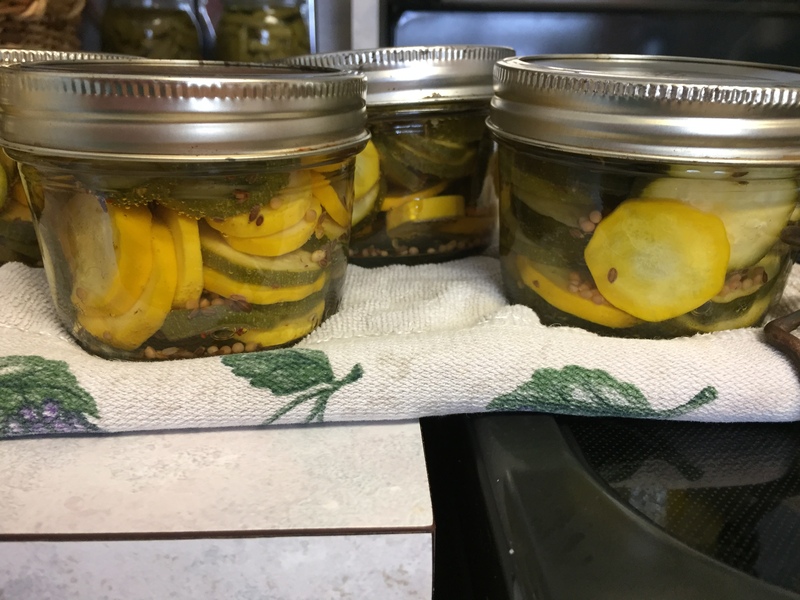 The following recipe from the National Center for Home Food Preservation uses whole dills, though, and I sliced the zucchini up to make dill chips, as directed. 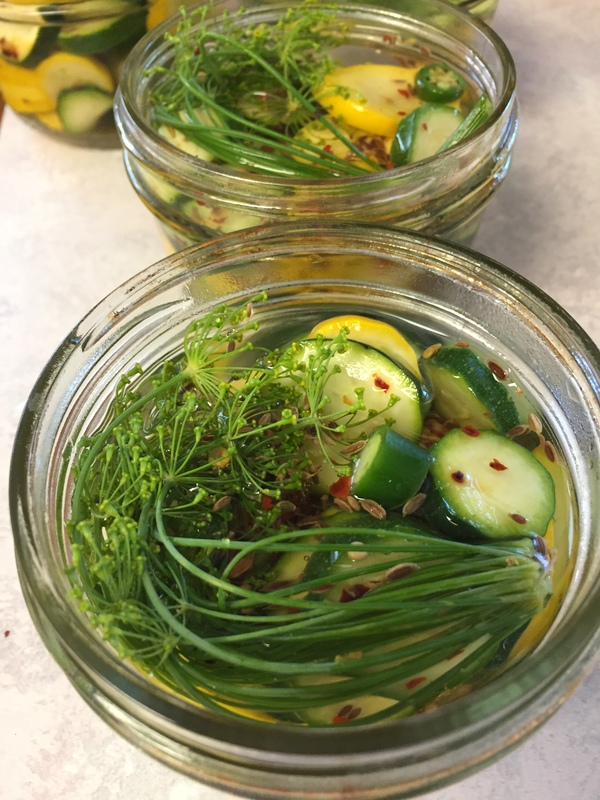 Here’s a dill pickle recipe from the National Center for Food Preservation that seems similar to what I did: https://nchfp.uga.edu/how/can_06/quick_dill_pickles.html I never put sugar into my dill pickles, though, and this recipe has some in it. I would leave it out. I just don’t enjoy dills with sugar in them. That website is very helpful to me, many times. I’ve made berry syrup from there, and a few other things. It has the processing times for about every item I want to can. I also use brochures from the OSU Extension office that I’ve had for years. I’m sure many states have an Extension office connected with it’s university, or you can look on line for the recipes, too. Good luck finding the perfect pickle recipe for you! Thanks!! I”m so glad they turned out so yummy!! Now I’ve got to catch mine in that small size. I was glad to fend off large zucchini. This is the method to take care of that problem. I mean…..35 in one week!!! Got to keep picking them small. These sound great. If I get a lot of squash I will have to try them. 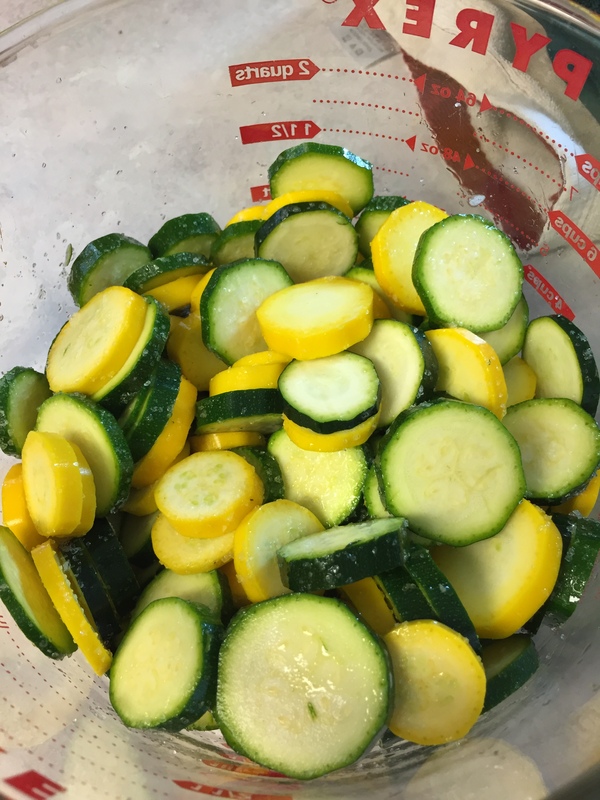 Your zucchini pickles look great! I think they would make some awesome Christmas gifts!